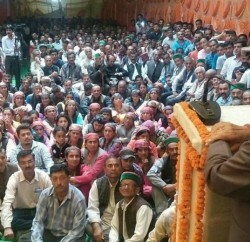 Balghar/Deha: Himachal Pradesh Chief Minister Jai Ram Thakur on his first visit to Chopal assembly segment in Shimla district laid foundation stones and inaugurated 13 developmental projects. Thakur announced Indoor Adventure hall at Senior Secondary School Deha to be constructed at a cost of Rs 70 lakh. The Chief Minister laid foundation stones of Kuthar-Pundar portion road from Bhulti to Pundar under PMGSY to be constructed at a cost of Rs 200 lakh, matteling and tarring work of Meha to Tali Kholna road to be completed at a cost of Rs 352 lakh, PHC building at Basadhar to be constructed at a cost of Rs. 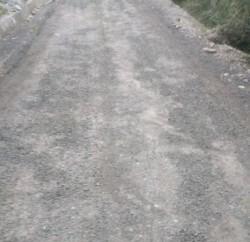 185 lakh, mettaling and tarring work of Dhaman Kenchi to Dhar road to be completed at a cost of Rs. 78 lakh, building of Senior Secondary School Dhar Tarpunu (Tali) to be built at a cost of Rs. 153 lakh, irrigation scheme through pipe from Bharara khud to Katiyana in Gram Panchayat Balghar on which Rs. 45.75 lakh will be spent and also laid foundation stone of Rs. 67.90 lakh Lift Water Supply Scheme from Dwada khad to village Kharku in Gram Panchayat Kuthar. Jai Ram Thakur inaugurated LWSS to village Shirguli Kadaharan, Ghasi Gaon Madhog in Gram Panchayat Ghorna and Ghoond constructed at a cost of Rs 83.83 lakh, Ghalana to Kishore portion road, Deha to Kathori road, Tikkar to Dhunakhar road and Shalowa to Katheog road constructed at a cost of Rs 217 lakh, Rs 82 lakh, Rs 34 lakh and Rs 90 lakh respectively. The Chief Minister announced that a helipad would be constructed at Ghagal for promoting the area from tourism point of view. He announced Rs 5 lakh each for three roads of the area, Rs. 15 lakh for Ayurvedic dispensary, Primary School at Kanouli, High School Damayana to Senior Secondary School, Rs 50 lakh for Senior Secondary Tali, starting of science classes at GSS School Ghoond and PHC to be opened at Tali, upgradation of PHC Baldhar to CHC with 30 beds,. He also announced upgradation of Police Post Deha to Police Station and opening of Horticulture Sub Centre at Basadhar. The Chief Minister in a public meeting at Balghar said the State Government would give top priority on the development of those areas which remained neglected so far in matter of development. Education Minister Suresh Bhardwaj said the State Government was working for the welfare of the poor and marginalized section of the society. He said that all the functional posts would be filled on priority so that the study of the students does not suffer due to the need of the staff. MLA Chopal Balbir Verma said that it was after 27 years that the people of Chopal Assembly constituency has elected the BJP candidate to represent their constituency. 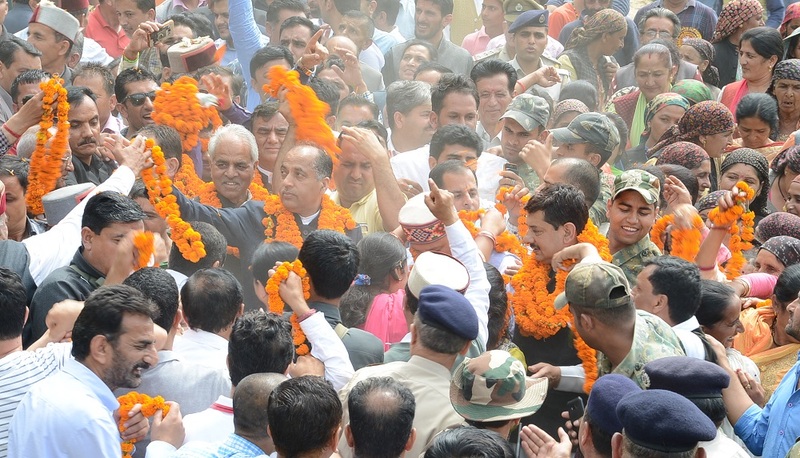 He said that the people of the area have lot of expectations from the Chief Minister and hoped that the area would scale new heights under his leadership.